As technology continues to expand, certain creations that at one point seemed like necessities will soon be null. For instance, I recently read an article explaining that in 3-5 years, computer mouses will be demised. What? No more mouse? That means wireless mouses, laptop mouses, and even the old school mouses that still need to be plugged into the back of the computer. So, what does that mean for you, or your business? Well, if computer mice no longer are necessary, everything will be touchscreen. We have already seen this technology continuously advance with mobile phones, tablets, even some of the newer desktop computers. Eliminating the computer mouse completely will increase a businesses need for a mobile website, making touchscreen navigation more convenient than a conventional website. Now, I am not saying that the computer mouse will suddenly just vanish into thin air over the next five years, but computer companies will eventually stop making them a necessity for new model computers. 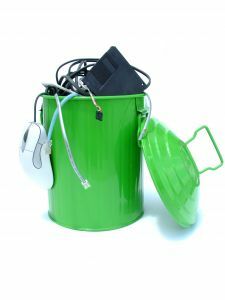 Over time, as people purchase new computers, the mouse that was once a necessity will soon end up in your office closet along with the old box monitors, palm pilots, and computers with the black and green screens, adding to items our children will soon ask “what is this?”. Technology is an amazing thing, so make sure you are ready for it! With the amount of time spent on mobile devices, if you haven’t yet created a mobile website for your company, you are already falling behind! For more information on preparing your business for technologies takeover, contact us!